Have We Seen the End…. And a big shout out and thanks to my friend SFCAtty at www.sherryfowlerchancellor.wordpress.com for sharing the info with me. Filming of Bond 23 has been postponed, indefinitely. I’ve already bemoaned the fact that we won’t be seeing Daniel on the big screen until next year and now no Bond indefinitely. Surely MGM will come up with the money to make it happen. I love to see Daniel in other roles too but I was so looking forward to seeing where they would take him in Bond 23. Maybe something will come through and in the meantime I’ll wait for Cowboys & Aliens. Are we going to have to wait to see Daniel Craig on the big screen again? Dream House and Adventures of TinTin are both listed in post-production on IMDB but no release dates until 2011. 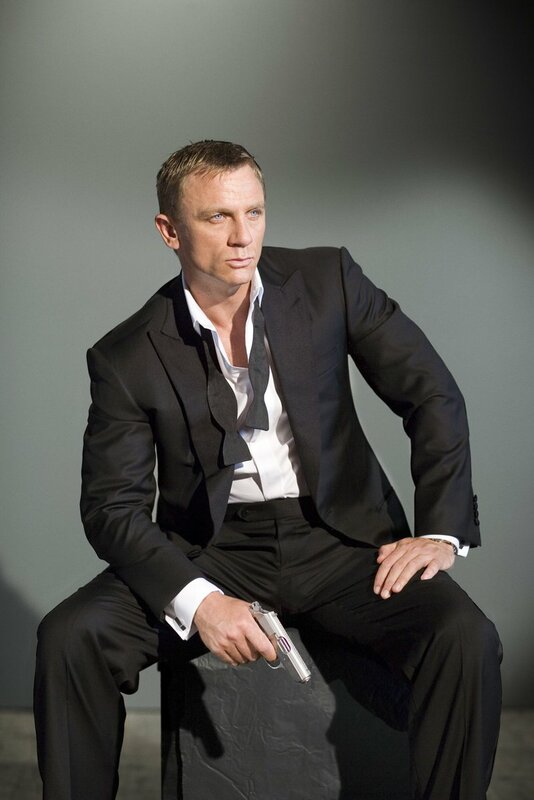 Bond 23 and Cowboys and Aliens are both listed in pre-production. We’ve had nothing new since Defiance, which was fabulous but come on, we need more Daniel. So while I long to see Daniel on the big screen, I’ll revist Casino Royale perhaps. So I’ll enjoy my racing while waiting for Daniel to come back to the big screen. Rumor has it that Daniel Craig has married Satsuki Mitchell, his long-time girlfriend. If so she is indeed a very lucky lady. From what I’ve read there is no confirmation just sightings of the two wearing gold bands on their wedding fingers. Hmmmmm. I wish them the best of luck. Looks like the MGM sale is in the closing stages so hopefully we can stay on track for Bond 23 in 2011. LOUSY blogger. I enjoy rambling on here now and then and it tickles me to no end that people take the time to look at it but…. Finding the time to sit down and do it is the problem. I guess I’ll just have to dedicate some time now and then to blog a bit. I’ve put a little bit of a hold on my writing. Two new ideas in the works one a young adult romance and one inspirational. Just finished a short story that I’m preparing to submit. Waiting to hear back on a contest entry. Both stories were something different for me so they were fun to write. I’m reading Dan Brown’s Lost Symbols right now. And some romances before that. Reading has been good and reading with “writer’s eyes” has been different. Just finished a short story. Just over 3500 words. I’m pleased with it. It’s a little different. Kind of a twist at the end. I had a cop named Officer Darcy and named the Heroine Elizabeth. Have I mentioned I hate coming up with names? Heroine had a completely different name and it occured to me that she should be Elizabeth to go with Officer Darcy. On an unrelated note I ‘ve been looking for info on the next Bond project. Not much out there. Just thinking of what they will do with Daniel next. I think he’s actually shown some character growth in his interpretaion of Bond. I know not everyone wants it or likes it but I do. Caught Casino Royale on tv a couple of times over the weekend. Ohhh My I do love Daniel in that movie.